Putting off your next Nissan repair or maintenance appointment is never a good idea. You are without a doubt driving a quality automobile that lasts long, but those of us here at EuroCare in Missouri City will tell you that regular repairs and maintenance of your Nissan will allow it to last even longer. Car repairs are one of those ‘spend a little now and save a lot later’ situations, come by our shop as soon you notice a potential problem and we’ll help you save money. The key to saving money in the long run is to bring your Nissan in for all of their required maintenance check-ups. These typically occur at the 30K, 60K and 90K milestones with oil changes and tire rotations periodically in there throughout. Your owner’s manual will tell you when these should happen. If you’re not sure when, the safest bet is every 3,000 miles. We’ll advise you what you may need when you come by and you can be assured we’ll take great care of your car. Bringing your car in after an unfortunate incident is a tough time for any Nissan car owner. Being without your car for an extended period of time is an inconvenience. We have the right tools in our shop to quickly figure out everything that needs work. With the needs of your car sorted we also have access to top quality OEM parts that will have your car in a condition as near to new as possible. 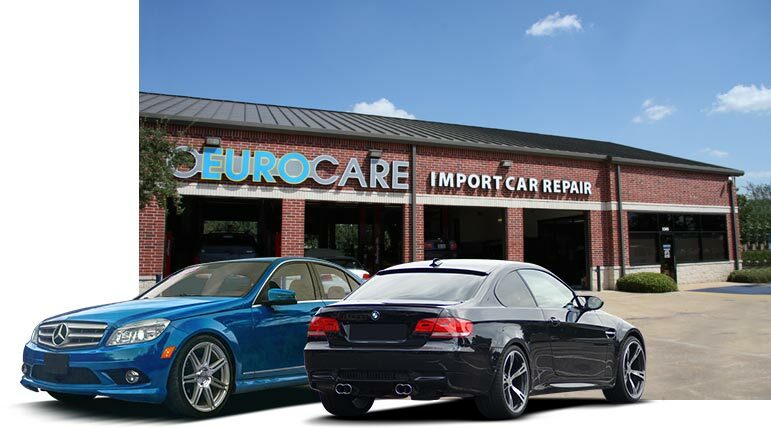 At EuroCare, we want you to have your car back in your garage or driveway so that you can live your life exactly the way you wish. Come visit us in Missouri City right now for all your Nissan repair and maintenance needs.